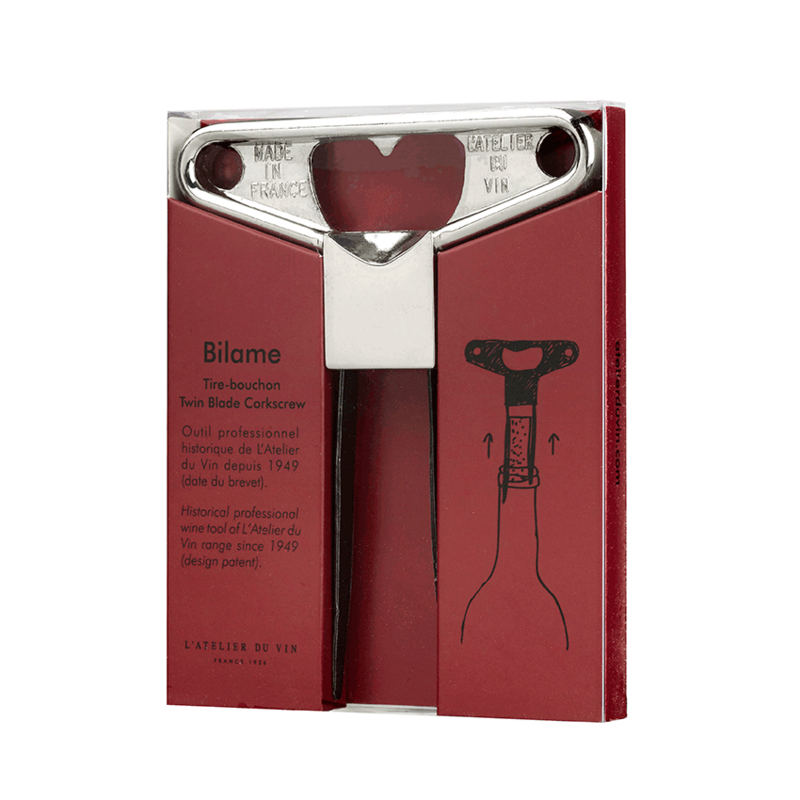 The Bilame twin blade corkscrew, an historical part of L’Atelier du Vin’s range since 1949 (patent date), extracts and leaves the cork intact, even those which are old and fragile. The cork is not pierced, and thus does not crumble. As the legend goes, the Bilame was the favourite tool of waiters in French “ bistrots ”. 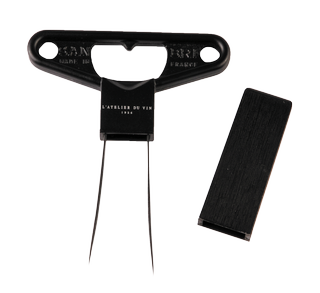 Thanks to it, they could take a few sips from bottles and then replace corks without anyone noticing! Black metal. Designed and made in France.